With the OSMOUK Post Fix product, completing DIY garden or commercial property projects is simple and efficient. Cement is a notoriously difficult material to handle and clear up after use, and often is not worth the hassle when working on a simple bench or replacing a broken fence panel. 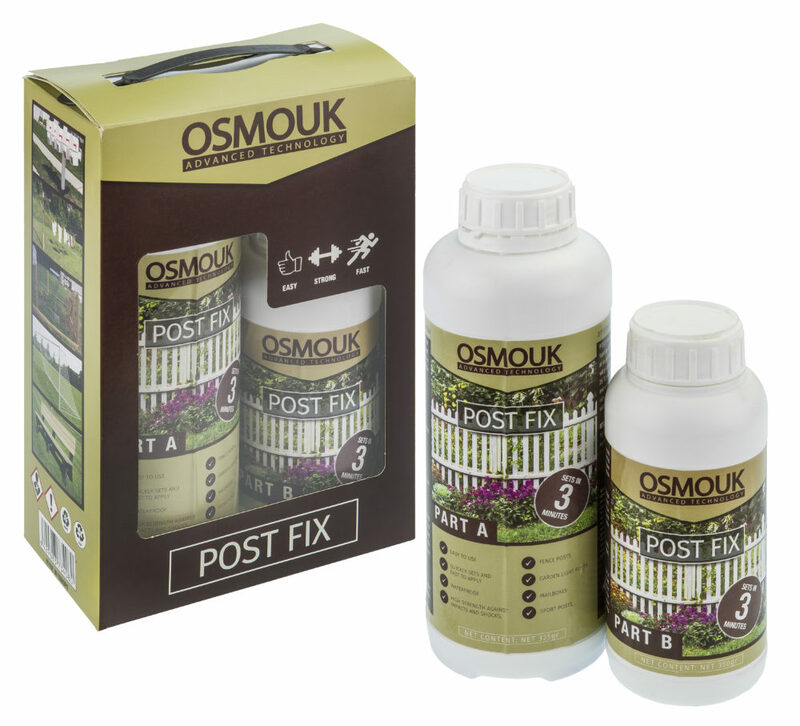 The OSMOUK Post Fix product has been designed to be a straightforward process, setting fast and leaving little-to-no clean up time.